In the final reckoning, it might have been the name that did it. I buy a lot online—books, music, comics, T-shirts, stamps (once), iPods (twice)—but until recently, I had never bought a formal shirt on the Web. It all began when two people from a top audit firm came to meet me—to discuss a study their firm was working on that they thought might be of interest to Mint (it was, but that’s another story and one that has already appeared in Mint). In the course of the discussion, which was about private equity and venture capital, we got around to talking about the dot-com and e-commerce bubble that would appear to be building up. The venture capitalist had come to the point 2 minutes into the meeting—an offer of $5 million, or around Rs26 crore (and a promise that no questions would be asked for two years), to start the Indian equivalent of The Huffington Post. I laughed him out of my room. One of the audit executives had a tale of his own—not as interesting as mine, though—about how he had bought formal shirts online. He claimed the shirts were “nice". I asked for the name of the website. “Thestiffcollar.com," he said. It was the name that did it. 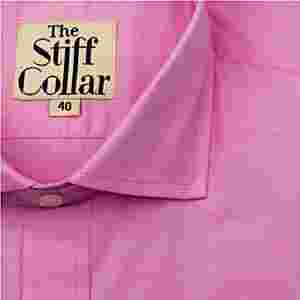 There’s something interesting about a website devoted to shirts called The Stiff Collar. Without much ado, I bought two shirts—a nice blue gingham and a plain white—for the modest sum of Rs1,700. The shirts arrived a day later. In some fancy packing. The cut of both shirts was magnificent: cutaway collars, split yokes, a slim fit, and gussets (now, when was the last time you saw those on a shirt?). The only complaint I had—one which dawned on me after I had worn each shirt twice—concerned the collar stays. The Stiff Collar used stays made from cheap plastic. In a rare burst of energy and activism I wrote to the company. Three days later, I received a handwritten note thanking me for my feedback and assuring me that the company would look into it. A pair of stainless steel collar stays were enclosed—for my trouble. That may just make me give the website some more business. 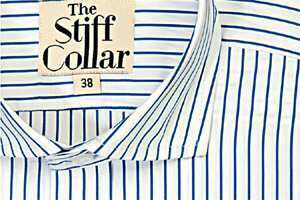 PS: In the weeks since my purchase, The Stiff Collar has expanded its range to include shirts with French cuffs, plus sizes, and paunch fits. I still think the range within each category (16 full-sleeve shirts; three ones with French cuffs; etc.) is a bit limited, which could result in embarrassing situations such as everyone in the room wearing the same shirt (if the website were to become a roaring success), but hopefully, it won’t come to that. R. Sukumar is editor, Mint.